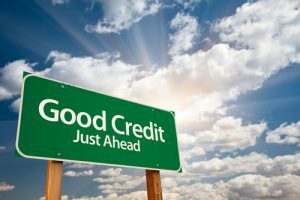 Concluding our three-part blog series 6 Tips for Recognizing & Correcting Credit Report Mistakes, here we will wrap up this discussion by pointing out two final ways in which people can identify and repair their credit report mistakes. Tip 5 – Contact the credit reporting bureau associated with the credit report mistakes. When debt – not credit report mistakes – is your issue, contact Denver Bankruptcy Lawyer Arthur Lindquist-Kleissler. He can help you obtain real relief from serious debt. Errors in a person’s personal information. Keep records of everything they send to the credit reporting bureau, as well as all correspondence they receive from the bureau(s) regarding the alleged credit report mistakes. Wait. These cases can take some time to get resolved. Tip 6 – Keep records and follow up until the credit report mistakes have been corrected. Maintain detailed records of when they interact with creditors/credit reporting bureaus, all correspondence regarding the credit report mistakes, etc. Be prepared to have to follow up if or when necessary. Since 1979, Mr. Lindquist-Kleissler and the other legal professionals at Lindquist-Kleissler & Company, LLC have been providing both individuals and businesses with the highest quality legal services for all of their debt relief and bankruptcy needs. From simple to complex bankruptcy cases, Mr. Lindquist-Kleissler can always be trusted to maximize utilization of Colorado Bankruptcy Law to effectively guide his clients through bankruptcy and help them achieve the best possible outcomes to their cases.